Online education is in its infancy stage in India. This is more so for techno legal courses like cyber law where neither the traditional education and training institutions nor the contemporary education and training institutions are well versed. Here comes the importance of online cyber law education in India. Cyber law is a complicated field that requires good knowledge of both technical and legal aspects. Further, cyber law is an area that requires good skills not only to learn it but also to apply it in real life. Presently, whatever limited cyber law education that exists in India, it is devoid of this skill development and training aspect. For instance, most of the education institutions, both traditional as well as online one, are providing basic level cyber law courses and trainings. However, in the name of courses and trainings mere diplomas or degrees are offered and granted. This does not ensure that such diploma or degree holders do have necessary skills and training to excel in real life and in a professional environment. We at Perry4Law Techno Legal Base (PTLB) do not endorse this approach and we have taken a very radical stand. We have deviated from the academic nature of cyber law education and are offering techno legal training and skill developments for cyber law. 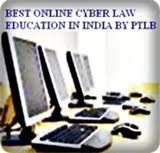 To make it more effective, PTLB has been providing online cyber law education and training in India. The stakes are high and so are the quality standards for the cyber law education and training courses of PTLB. Further, we also understand that not everybody can come to a physical location hence we have also been providing online cyber law education and trainings in India, Asia and other places. Interested institutions and organisations may contact us with their proposals if they wish to engage in this initiative of PTLB. Further, professionals desiring of having good and qualitative techno legal cyber law education and training may also contact us. We hope this initiative of ours would prove beneficial to all concerned. This entry was posted in Uncategorized on June 28, 2011 by PTLB. Legal training is not an easy task to achieve. This is more so in the contemporary era where information technology (IT) has changed the entire landscape of legal education and training. For instance, few years back law colleges and universities were not aware about the concept of cyber law. Now law colleges and universities have started offering courses in cyber law and similar topics. Although they are still of basic level yet a beginning has taken place. However, legal training is not an easy task. As law is increasingly being used in conjunction with other streams, especially computer science, it has become imperative to take care of both technical and legal aspects at the same time. 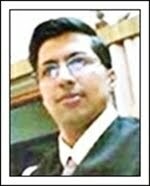 Many computer science institutions have started teaching law along with computer science and many law colleges are teaching computer science with law. Of course, this is happening at the basic level and highly specialised legal education and training is still missing. The fact is that we do not have techno legal training institutions in India or elsewhere. At Perry4Law Techno Legal Base (PTLB) we provide highly specialised techno legal research, education and training in India, Asia and other places. PTLB is also the exclusive techno legal training provider of the world that is providing research, education and training through e-learning and online education platform. PTLB is also providing techno legal skills development education and courses for stakeholders like lawyers, judges, police officers, public prosecutors, law graduates, corporate executives, law professors, faculty teachers, etc. PTLB is committed to bring legal education reforms in India through use of cutting edge technology and providing education and training for the most contemporary techno legal fields like cyber law, cyber security, e-discovery, digital evidencing, etc. Governmental and non governmental institutions and individuals desiring to have a collaboration or partnership with us may contact us with their proposals. Legal education and legal training are two different things. While the former is on the side of acquiring academic qualification the latter is more important as it provides workable skills to the manpower. In other words, legal training helps in the development of necessary skills that help in the growth of a person’s career and profession. Legal training and skill development has not received much attention of Indian government in general and law ministry in particular. Of course, recently some good initiatives have been started by law minister Veerappa Moily but they are in their infancy stage and would take some time to materialise. Information technology (IT) related legal research, education and training is still missing from India. Further, benefits of innovative methods like e-learning and online education are not utilised by law ministry. Traditional education and training methods must be supplemented by e-learning and online education methods. At Perry4Law Techno Legal Base (PTLB) we recommend an active use of IT for providing legal education and training in India. We have been managing techno legal online legal research, education and training institutions that are providing techno legal trainings to lawyers, law graduates, judges, police officers, public prosecutors, etc. Further, PTLB is also providing techno legal skill development education and trainings to various stakeholders. Legal education of India needs urgent reforms as it is not producing qualitative lawyers and professionals. PTLB recommends that law ministry must pay more attention to education and training in the fields like cyber law, cyber forensics, e-courts, intellectual property rights (IPRs), international trade law, international treaties and conventions, etc. Further, lawyers and judges must also consider using continuing legal education in India (CLE in India) and legal lifelong learning in India. Education and training is a continuous process and it must not be considered to be a one time phase. We hope Indian government in general and law ministry in particular would consider these suggestions of PTLB and ensure that we have enough number of legal training providers in India. Similarly, legal training providers of India also need to change their focus from traditional to contemporary topics and technology. The sooner they shift to the new paradigm, the better it would for all concerned. Indian government has been taking information and communication technology (ICT) seriously these days and the same applies to law ministry as well. Law ministry has been planning to use ICT for multiple legal and judicial purposes. From legal education and training to establishment of e-courts in India, law ministry of India has plans for all. Lawyers play the central role in all legal and judicial reforms. However, legal fraternity is also the one that is most neglected and most indifferent towards ICT and professional education and trainings. Once the basic law degree is acquired, the quest for education and training of lawyers ends. They cannot be blamed for this due to their hectic schedule. However, continuous legal education and professional trainings are too important to be ignored. At Perry4Law and Perry4Law Techno Legal Base (PTLB) we understand the importance of good professional education and training for lawyers. We also appreciate that lawyers do not have a free schedule to attend regular classes. That is why we have devised the medium of e-learning and online education and learning in India, Asia and other parts of the world. While basic level courses of are managed by PTLB, highly specialised courses are undertaken by Perry4Law Techno Legal ICT Training Centre (PTLITC). Further, techno legal skills development initiatives are also undertaken by PTLB. Further, crucial areas like continuing legal education in India (CLE in India) and legal lifelong learning in India are also taken care of by PTLB. If you are a lawyer, whether a litigation lawyer or a corporate one, consider enrolling with PTLB to enhance your skills and expertise. This entry was posted in Uncategorized on June 27, 2011 by PTLB. The income tax directorate of criminal investigation of India (ITDCII) has been launched by the finance ministry of India to deal with financial crimes, especially those pertaining to black money deposited in foreign jurisdictions. The ITDCII will also maintain a centralised repository of data collected from telephone and Internet intercepts, banking and market transactions, cross-border deals, ATM transactions, etc. The department will also develop cyber forensics capabilities and obtain latest forensics tools. Obviously such an ambitious project requires techno legal expertise and this is the reason that the ITDCII would have experts from diverse fields. This would include financial, legal, technical, intelligence and other experts. 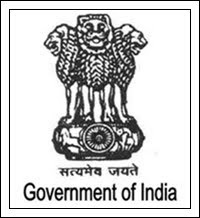 Now the Indian government is hiring 200 experts to meet the manpower requirements of ITDCII. These experts, who are proposed to be brought on deputation from armed forces, paramilitary and also include police personnel, will be security experts with investigating experience, technical experts and legal experts. Besides, hiring experts, Indian government in general and department of income tax of India in particular must also consider the option of giving suitable techno legal trainings to its manpower in the fields like cyber law, cyber forensics, etc. Besides, the help of special agents would be required to track the use and source of funds. ITDCII has been vested with powers to enter into special agreements with central and state government agencies, as also with international agencies as part of the drive to crack down on tax-related cases that have a criminal element. The agency has also been given powers to hire special prosecutors, develop witness protection programmes and coordinate with other agencies. A notification is to be issued to equip ITDCII with search, seizure and survey powers as well as the authority to issue summons. This is a very good step taken by the finance minister Pranab Mukherjee and we at Perry4Law and Perry4Law Techno Legal Base (PTLB) welcome this step of finance minister. If need arises, Perry4Law and PTLB would also extend their techno legal expertise in this regard. This entry was posted in Uncategorized on June 24, 2011 by PTLB. Cyber Forensics in India is still to be approved as an important part of Legal and Judicial System of India. Till now we do not have a specific and dedicated Cyber Forensics Law in India. Cyber Forensics is an amalgamation of Legal and Computer Science principles. Thus, it is essentially Techno Legal in nature. This Techno Legal nature of Cyber Forensics has raised certain problems before the Law Enforcement Agencies of India, Legal Fraternity, Judicial Fraternity and the Governmental Departments dealing with the Cyber Forensics issues. While the Police, Lawyers and Judges are still struggling to deal with Cyber Crimes and Cyber Forensics issues yet Government Departments are facing a shortage of Skilled Cyber Forensics Professionals. Suitable Techno Legal Cyber Forensics Courses in India and Cyber Forensics Education in India can reduce the shortage of Skilled Cyber Forensics Professionals in India. India has been facing these problems because till now Cyber Forensics Policy of India has not been formulated. An ideal Cyber Forensics Policy of India must concentrate upon issues like Legal Framework for Cyber Forensics, Skills Development of Cyber Forensics, Trainings of Law Enforcement Officials, Lawyers, Judges, etc. Cyber Forensics Policy of India cannot be implemented by a single stroke. It has to be formulated step by step and in a systematic and planned manner. Indian Government must pay attention to the Cyber Forensics Laws of India in general and Cyber Forensics Policy of India in particular. This entry was posted in Uncategorized on June 9, 2011 by PTLB. Cyber forensics in India is at nascent stage. Neither the legal frameworks nor the policies of India have considered cyber forensics effectively. We have no dedicated cyber forensics laws in India and even the cyber law of India, i.e. information technology act, 2000, has not incorporated sufficient provisions regarding cyber forensics. However, very soon cyber forensics legal framework would be established in India. Further, even in the absence of such legal framework the demand for cyber forensics professionals has increased a lot in India and world wide. However, the supply of trained cyber forensics specialists is too short to accommodate the growing demands in this regard. A cyber forensics professional must be aware of both legal and technical aspects. If a professional is weak at legal aspects the evidence acquired using cyber forensics methods may not be admissible in a court of law. Similarly, if a professional is not well versed with the technicalities of cyber forensics, useful evidence may not be acquired. Cyber forensics skills development in India is yet to be achieved as it is not an easy task and it requires dedication and good techno legal practical training. Even lawyers and judges must have scientific knowledge of cyber law, cyber forensics and digital evidencing. 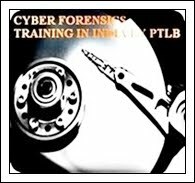 At Perry4Law Techno Legal Base (PTLB) we provide techno legal cyber forensics education and training in India. For professionals and students who wish to enroll for our techno legal cyber forensics courses, kindly fill in the application form with prescribed fees. For getting an idea of our techno legal course, kindly visit our Skills Development Blog and Online Learning Platform. This entry was posted in Uncategorized on June 8, 2011 by PTLB. Cyber security course in India are in demand. This is because Indian economy is relying more and more upon information technology (IT) these days. Whether it is essential electronic services delivery in India, e-governance, cyber law or governmental services, cyber security of the service providing infrastructure is a must. India has been focusing upon skill development these days. Although cyber skills development in India is yet to pick pace yet sooner or later it would be a much needed demand in India. Further, with the growing interaction of IT and law, techno legal issues have also emerged. Neither technical nor legal expertise is enough these day. The expertise must be both technical and legal, i.e. techno legal expertise. A good cyber security course must have an optimum combination of theoretical and practical research and training. The focus must be more on the side of practical training but clarity of theoretical concepts is also essential. Further, cyber security courses must also consider both defensive and offensive aspects of cyber security. Keep in mind that no course of the world can train you absolutely for cyber security and it is only your hard work and experience that counts. At Perry4Law Techno Legal Base (PTLB) we understand the importance of these considerations. We are the exclusive techno legal cyber security research, training and education provider of India. Our motto is to reach maximum possible professionals and to achieve this task we have launched various techno legal course through e-learning and online education mode. For offline mode we are in talks with various national and international partners and organisations and would come up with the updates very soon. Meanwhile, if you or your organisation is interested in having an association, collaboration or partnership with us, kindly contact us with your proposals and terms and conditions. For professionals and students who wish to enroll for our techno legal cyber security courses, kindly fill in the application form with prescribed fees. For getting an idea of our techno legal course, kindly visit our Skills Development Blog and Online Learning Platform. Special arrangement has been made for training of government employees and executive of companies. Further, faculty development programs for universities and educational institutions and training at the premises of companies and government departments can also be arranged on mutually agreed terms and conditions. If you are interested in continuing legal education or legal lifelong learning we can also assist you in this regard. We hope you would find this information useful and we always look forward to assist you in excelling in your techno legal career. Skill development in India is the need of hour. While India’s workforce is increasing tremendously, its skills level is not upto the mark. With the evolving economy and dynamic work environment the traditional educational system is finding it really difficult to cope up. Indian educational system is academic in nature with little emphasis upon vocational and professional training. The professionals get only theoretical knowledge and they find it really difficult to apply the practical aspect at the workplace. Further, infrastructure problems of educational institutions are also forcing many professionals to limit themselves to the confines of a particular territory. Online skill development in India has still to gain momentum. Increasing use of information and communication technology (ICT) in our day to day lives, government departments, private companies, banks, etc is also forcing professionals to develop cyber skills. The cyber law of India, incorporated in the information technology act 2000, has also mandated cyber law skill development in India. Allied fields like cyber security skills development, cyber forensics skills development, etc are also necessary these days. Governments, companies, private individuals, banks, etc all of them require knowledge of cyber law, cyber security, cyber forensics, etc at one stage or another. With growing regulatory environment, cyber due diligence has also become a necessity these days. Even the Reserve Bank of India (RBI) has now mandated cyber law and cyber security due diligence for banks in India. At Perry4Law and Perry4Law Techno Legal Base (PTLB) we are providing techno legal cyber due diligence trainings to various stakeholders. If you are interested in any of our techno legal trainings, kindly visit our training platform for more details. Application form for the enrollment to various courses, internships and trainings can be downloaded from here and more details about the courses of PTLB can be found here. This entry was posted in Uncategorized on June 6, 2011 by PTLB. Cyber security in India is still evolving and one of the reasons for its slow growth is lack of cyber security policy of India. An effective cyber security policy covers issues ranging from safeguarding the critical ICT infrastructure to developing techno legal skilled manpower. Here comes the importance of good and effective techno legal cyber security courses in India. There are very selective cyber security course providers in India. Further, even lesser are those who provide practical training for cyber security courses in India. As far as techno legal cyber security courses in India are concerned, there seems to be none. At Perry4Law and Perry4Law Techno Legal Base (PTLB) we are trying to fill this gap. Perry4Law and PTLB are the only techno legal cyber security course providers of India that provide cyber security courses in India and abroad in an “online environment”. We believe the power of skill development and learning can be utilised maximum if we use information and communication technology (ICT) in this regard. For instance, use of e-learning and online learning provides the best possible opportunities to even those who cannot obtain the same face to face. E-learning or online learning has the potential to cater the requirements of even those who are located in the remotest corners of the world. This is the reason why we preferred e-learning and online learning as the first choice of Perry4Law and PTLB. Application form for the enrollment to various courses, internships and trainings can be downloaded from here and more details about the courses of PTLB can be found here. Perry4Law and PTLB are also planning to provide offline courses in various techno legal fields. Interested institutions, organisations and individuals may contact us with their proposals and terms and conditions. This entry was posted in Uncategorized on June 5, 2011 by PTLB.